So, it’s time to sit down and write up – or dust off your CV. One of the best things you can do is tailor make your CV to match the job you are applying for. This way the interviewer can pick out the abilities and skills you possess to make sure you’re the right person for the job. There are also a number of traits an employer looks for in a CV. Finding staff can take time and employers want to get it right – employers are looking for someone who not only wants the job, but who has the skills and requirements needed – they also want someone motivated, who can work well with others or can take direction. 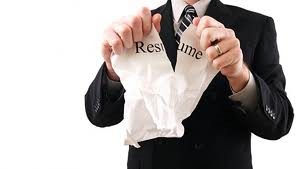 On your CV you need to show you are an asset to this business and not a liability. What employers look for in a CV is someone with the right personality and they will be studying your CV carefully to ensure you possess the qualities they are looking for. In the end you need to write your CV in a way that shows you understand this and that you can bring to the job the qualities they need. So what do employers look for in a CV? – We have compiled a short list that you can incorporate into your CV so it will put you at the top of the pile. This is just a sample of the most common traits an employer looks for in a potential employee, you need to show that you posses all or at least some of these traits throughout your CV, you need to give examples throughout your CV to show the type of person you are and how you work. This will give the employer more of an insight into you as a person and as a worker. Use positive words such as *I organised* or *I led* to show you are a leader, a person who can get the job done.